MPH Sewer & Drain Services is here to meet your underground water and sewer line locating needs. 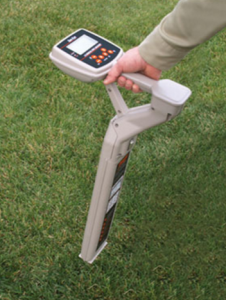 We use an electronic underground line locator to accurately map out your underground water or sewer lines. Underground sewer & water line locating is an important process prior to doing any type of excavating. Accidentally digging up sewer and water can result in very expensive repairs. MPH can ensure that all sewer and water lines have been located and physically marked on the property as required. The process of locating sewer lines underground requires state of the art equipment and complex procedures which are only recommended if carried out by professionals. At MPH, we know what we do and are experts in the field of sewer & water line locating. Line location is done by specialized tools that help out in locating non-metallic lines at up to 13 feet underground. If you are looking to do any sort of building or digging on your property then you should call us before you start the procedure. We will help you out by making sure you don’t tamper with any underground sewer pipes during your work so all sorts of risks and accidents can be avoided! If you don’t pay serious attention to this matter, then you may well be prone to facing hazardous situations ahead. A task as dangerous as sewer line locating shouldn’t be carried out by amateurs or non-professionals. Therefore, it is of utmost importance that you leave the entire procedure up to us as we have trained specialists who know the ins and outs of the entire process and are capable of doing a fantastic job. So don’t wait any longer and contact us now at 978-453-9157. We will provide you a free quote as well!